Twenty years ago, I had come across the name Henri Nouwen in a magazine article, and once, a parish priest mentioned the name and one of his books in a sermon. At the time, I tried one of his books but found it bland and abstract--nothing resonated, and I was disappointed. But this past Ash Wednesday, I went to Mass near where I work, and in the back of the church was a stack of booklets titled, From Fear to Love. Lenten Reflections on the Prodigal Son, by Henri Nouwen. In his sermon, the priest enthusiastically recommended to the congregation that we take a booklet and read each day’s meditation during Lent. A replica of the famous Rembrandt painting, The Return of the Prodigal Son was propped up in front of the altar. 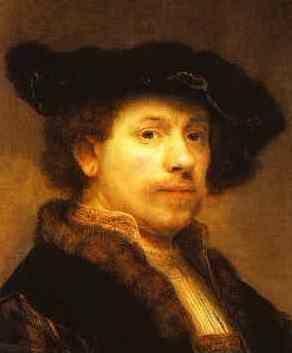 The priest explained that Henri Nouwen’s meditations were inspired by his contemplation of this painting by Rembrandt. Every single meditation speaks to me powerfully and insightfully. He seems to be one of the few Catholic writers of whom “brokenness” is a regular part of his vocabulary. He also emphasizes the love of God for us seemingly more than any other writer. I realize now that 20+ years ago, I was too undeveloped, immature, and unwise for Nouwen to have been insightful for me. Now I wish I had the time to read all his books. Any one who has experienced the difficulties of life will find redemptive consolation, inspiration and direction with Henri Nouwen. He is described, along with Thomas Merton, as having explicitly developed a “Theology of the Heart.” His thought is saturated with scripture and has been described as being above Catholicism and Protestantism. What I am most impressed by is that he quit a Yale professorship to work with developmentally disabled adults for the last ten years of his life. If you want to know more, see the web page for The Henri Nouwen Society.